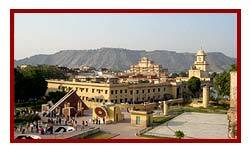 Golden Triangle & Cultural Wildlife Pilgrimage Tours India - Offering northern india temple tours travel packages to visit the holy places and sacred ganges and famous temples and pilgrimage tourist places along with online bookings. 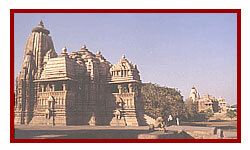 This tour itinerary is clubed with famous tour destinations of vide range of north india themes. Whether it is cultural and heritage sights of varanasi, khajuraho and north india golden triangle, wildlife attractions of bandhavgarh, kanha and ranthambore along with pilgrimage tours to holy city varanasi to visit temple, ghats and ganges. 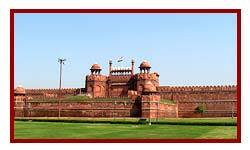 Arrival in Delhi and transfer to the pre booked hotel of your choice as mentioned in final itinerary. overnight stay will be at Delhi. After arriving Agra you will be taken to the hotel to check in. In the afternoon you will be taken for the guided city sightseeing tour to The Taj Mahal, Agra Fort, Fathepur Sikri and Dayal Bagh are the well known historic sights in Agra. 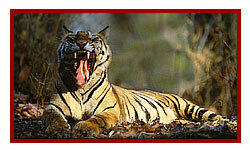 In the early morning after breakfast you will depart for Ranthambore. Ranthambore is famous tiger reserve of Rajasthan India. The overnight stay in the jungle resort will give a wonderful experience and will add thrill to the trip. 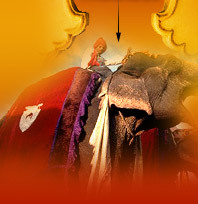 After breakfast you will be taken to the Amer fort for elephant ride. In the evening you will depart for Delhi and there you will check in the hotel of your choice. Stay in the hotel for overnight. In the last day after having breakfast you will have an entire leisure day for rest or shopping and then later to the airport to board respective flights to Home.